The NIA has established a Local Members Networking Forum in Scotland this year which provides a vehicle for its 30+ members in Scotland to meet up and receive briefings on important industry matters from the NIA and external stakeholders. It provides input to the NIA’s future plans and to network and share experiences with other members. Given the success of the Forum in Scotland and feedback from NIA members in England and Wales we will be setting up a Local Members Forum in Wales and a number of regional forums throughout England in 2018. 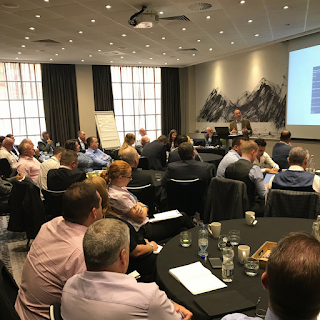 Further details of the forums will be provided at our annual conference on 7th December and we envisage holding the first forum meetings in February 2018 to brief members on the new ECO and PAS2030 that will come into force in October 2018. 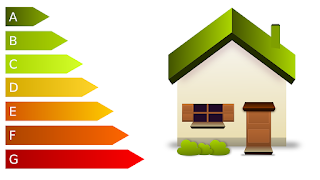 Domestic Energy Assessors (DEA) and Energy Performance Certificates (EPCs) - an opportunity or a declining breed?! Government made the decision to drop EPCs from the Energy Company Obligation (ECO) from April 2017 to save money. This was a severe blow to DEAs who had been encouraged to ramp up capacity by Government to deliver the Green Deal which unfortunately failed. So does this mark the end for DEAs and EPCs? ABSOLUTELY NOT! ECO is now focused purely on fuel poverty but there are huge opportunities for EPCs: and DEAs - able to pay market, new regulations for the private rented market from April 2018, SMEs and the commercial market. Therefore we are setting up an National Insulation Association (NIA) DEA Members network that can undertake EPCs for our installer members and customers. If you are a DEA registered with Elmhurst, ecmk, NES, Stroma or QUIDOS contact us about joining the NIA. As an NIA DEA you will stand out from the crowd as a quality company that signs up to our strict code of professional practice and you will also be listed on our website where we will promote your services and you will have the opportunity to receive free leads. Following the departure of Tony Hardiman, Chair of the NIA Strategic Board in June the NIA has appointed his replacement as Derek Horrocks, Chairman of the Sustainable Energy Group and previously Vice Chair of the NIA. Commenting on his new role Derek said: "I am delighted and honoured to take over as Chair of the NIA and look forward to working with Mike, Neil and his team, other Board Members and NIA Members in building upon the success of the NIA in supporting its members. 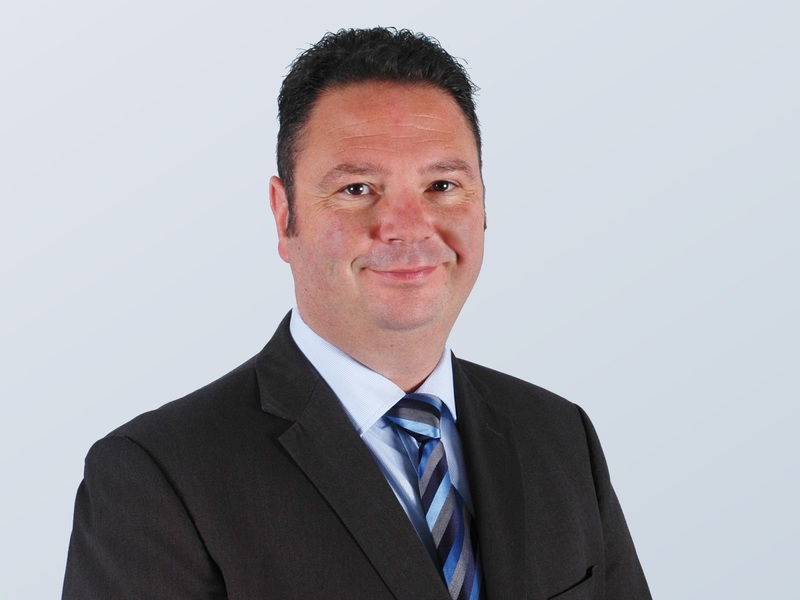 The new appointment also means that a new Vice Chair has also been announced as Mike Easdon, Managing Director at InBuild Solutions and serving NIA Board Member. The National Insulation Association’s (NIA) Annual Conference, Exhibition and Black Tie Gala Dinner is taking place on Thursday 7th December 2017 at the Jurys Inn Hinckley Island Hotel, Leicestershire. The exhibition has been a huge success since its introduction several years ago and attracts over 20 exhibitors each year. Exhibition stand space for the 2017 event is now available! 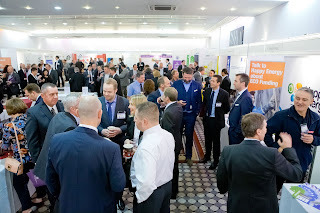 With all stand bookings the NIA is also offering exhibitors a FREE place to attend the Conference and the Gala Dinner worth £199. Companies wishing to reserve a stand at the exhibition and take advantage of the free place offer should contact the NIA without delay. The NIA has been working with a number of other industry bodies over the past 6 months in developing new industry standards and specifications for insulation measures. The National InsulationAssociation (NIA) and National Landlords Association (NLA) have come together to provide landlords with an easy to use online facility to find local insulation installers to help meet energy efficiency standards. "It's important that landlords have access to the most trusted and reliable of local specialists, particularly when it comes to insulation, and we hope that this online service will enable landlords to meet their obligations by making their properties more energy efficient." Minister for Energy and Industry, Jesse Norman said: "This is a welcome initiative from the NIA and the National Landlords Association, which should help people improve the energy efficiency of their homes and save money on their heating bills." Landlords should be thinking about what they need to do to meet MEES and how they can provide warmer homes for their tenants. The minimum E rating may be raised in the future and so landlords with buildings rated F or G may decide that they wish to spend more than the minimum in order to bring those buildings to D or above. Commenting on this mornings Government response Neil Marshall, Chief Executive of the National Insulation Association (NIA) said:" We welcome the changes that Government has made which will mean thousands more households will receive assistance through free and subsidised insulation. From 1st April strict new national quality standards will be introduced for cavity wall, external wall, loft insulation and room in roof insulation, as part of PAS2030, which installers will be required to work to. The National Insulation Association (NIA) is involved in setting these new standards and we are helping our members to ensure they can comply with them by 1st April. If your company would like our help please contact us about membership today. Today the Mail on Sunday has run a widely inaccurate and misleading story about cavity wall insulation and the cavity wall insulation industry. “These figures are widely inaccurate as thermal cameras in isolation are ill-equipped to assess the effectiveness of cavity wall insulation and should only be considered as part of a range of inspection measures. “Cavity wall insulation is very reliable – of the six million households who benefit from the product and hold a CIGA Guarantee only 13,000 have ever reported any problems, a claim rate of just 0.24%. “Cavity wall insulation is a trusted product and proven to keep homes warm and fuel bills down, with independent research showing it saves families up to £275 a year in energy costs. “The industry has robust procedures in place to ensure installers are qualified, use approved products and only fit cavity wall insulation in suitable homes. Thermal imaging in isolation is an inappropriate method of assessing cavity wall insulation. The IRT data appears to be based on computer analysis of thermal images rather than a detailed study of the property or an intrusive survey. British homes are some of the least energy efficient in Europe, resulting in soaring energy bills, increasing fuel poverty and an increasing reliance on foreign gas imports. Independent research by the Energy Saving Trust has shown that installing CWI in a detached property can result in an annual saving of up to £275. Statistics from CIGA show that, since 1995, they have issued a total of 5,853,184 guarantees across the UK. In the same time period the overall claim rate was just 0.24%, or around 13,000 households. The product itself must be recognised by a certification body, such as the British Board of Agrement (BBA). Surveillance is also undertaken by the BBA to assess and approve installers. This includes carrying out site based assessments and routine surveillance of completed work. The leading industry guarantee provider CIGA also carries out its own additional checks. This ensures that the insulation itself, along with the method of installation, are of the highest standard. Work completed under frameworks, such as the Energy Company Obligation, are also subject to an added layer of independent technical monitoring in addition to the standards described above. The NIA and its members see the acquisition of the Green Deal Finance Company (GDFC) by Greenstone Finance and Aurium Capital Markets announced on 15th January 2017 as a positive development. It will provide a further option for consumers to finance the purchase of insulation measures to reduce their bills. It is vital that they learn the lessons from the previous Green Deal scheme in order to make the offer as simple and attractive as possible for householders and businesses. We are looking forward to working with the new management team at the GDFC to contribute to this. PAS2030 which governs the national standards that installers must work to in the installation of energy efficiency measures is currently being revised and a new version will be published at the end of January 2017. · The initial assessment of properties for suitability to receive the measures. · The system design and design detailing. · Specific industry standards and specifications setting out the standards all installers must work to such as the new NIA Specification for installing EWI with fuel burning appliances, Room in Roof Insulation survey form and best practice guide and loft insulation specification. · Stricter competency ratios (number of trained operatives) per site. · All sub-contractors will need to be PAS2030 accredited as well as the main contractor. Whilst the improvements to PAS2030 are welcomed, they will only be as effective as the strength of the monitoring and enforcement by the PAS2030 Certification Bodies. Therefore at the NIA will be adding the requirement for our members to adhere strictly to PAS2030 to our rules of membership. If we then receive reports/complaints from specifiers of insulation works that an NIA installer member is not complying with PAS2030 we will investigate this and take strong disciplinary action including suspension or expulsion if a breech is discovered. We would therefore urge specifiers of insulation works including Local Authorities, Housing Associations, Energy Companies, Builders and Architects to choose NIA members to carry out work and incorporate a requirement for NIA membership in their future tenders for insulation projects as this will provide an additional level of assurance and enforcement. To help specifiers in this regard we have introduced a new ‘Expressions of Interest and Tender Request’ Service whereby if specifiers provide us with details of projects and specifications we will circulate these to our members saving them time and money.